Atlanta, GA (March 12, 2015): David Weekley Homes, the nation’s largest privately-held home builder, has released the first phase of floor plans for the upcoming Village of Belmont. This highly-anticipated mixed-use development will feature over 50,000 square feet of retail shops, restaurants, professional offices, as well as more than 150 single-family homes from David Weekley Homes. Located at North Atlanta Road and Windy Hill Road in Smyrna, Village of Belmont will feature three collections of the builder’s award-winning homes: Cottages, Commons and Park Series. Prices for the three collections will range from the high $200s to $400+, and will have a style reminiscent of turn-of-the-century Americana. The Cottages will feature five floor plans, ranging in size from 1,500 to 1,800 square feet. The first floor plan released for this series is The Fostoria II, a three-story plan featuring 1,600 square feet with three bedrooms, three full baths, a two-car front-load garage, utility room and guest suite on the first floor. The newly released floor plan for the Commons collection is The Conroy, a two-story home featuring nearly 1,800 square feet, three bedrooms, two full baths, one half bath and a two-car front-load garage. Options to enhance The Conroy include a third-floor game room, fourth bedroom and third full bath. One other floor plans available in The Commons is The Aveda, with 2,500 square feet. Additional floor plans for the Cottages and the Commons, as well as for the Park Series homes, will be released in April. Homes in all three collections feature Weekley’s signature open-concept design with the kitchen overlooking the dining area and family room, and upstairs owner’s retreats. 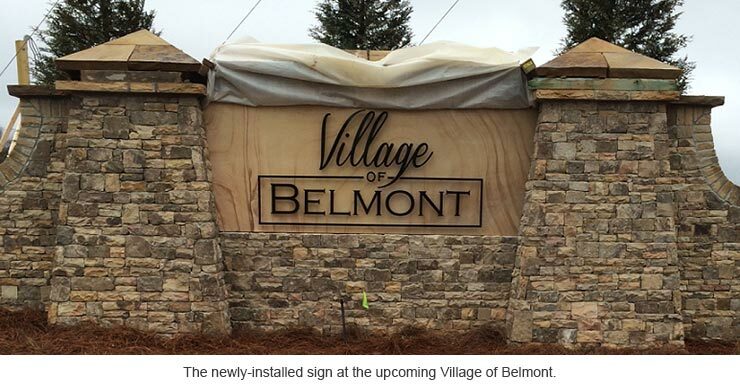 Sales in Village of Belmont are expected to begin in April. For more information, or to join our VIP list, please contact Jenny Miller at 800-407-9150.